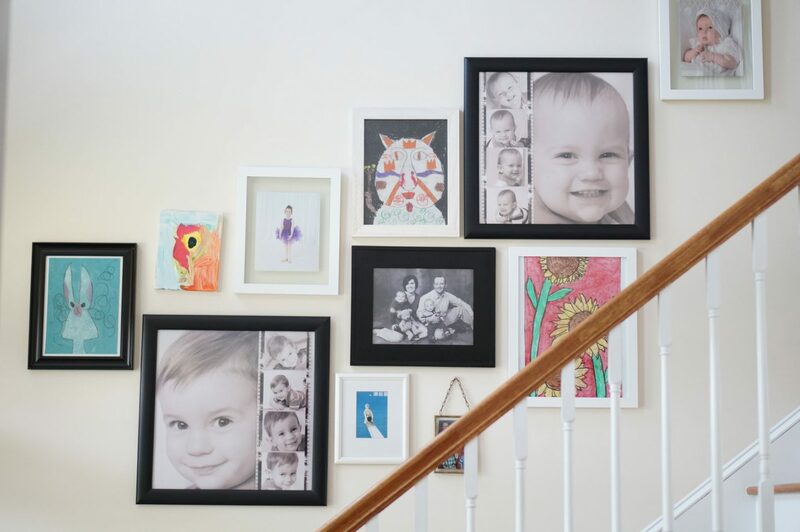 Today, I’m super excited to share the gallery wall in our foyer. From the first moment we were searched for house plans, we had so many ‘must haves’ on our list. It was difficult to find one plan that had everything, but our builder suggested one plan that absolutely spoke to us. One of our ‘must haves’ was a large staircase in the foyer. We almost went with a house plan that had the staircase in the living room, where you couldn’t see it from the foyer. Boy, am I glad we went with this one! 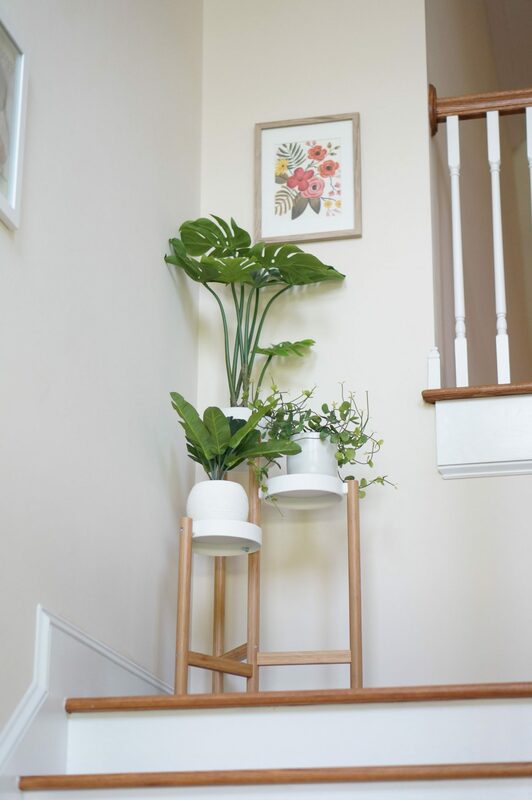 I love the staircase in the foyer. It makes such a statement as soon as you walk in, and so many people say ‘wow!’ when they walk in (even our builder who came by for our 1-year walk through). 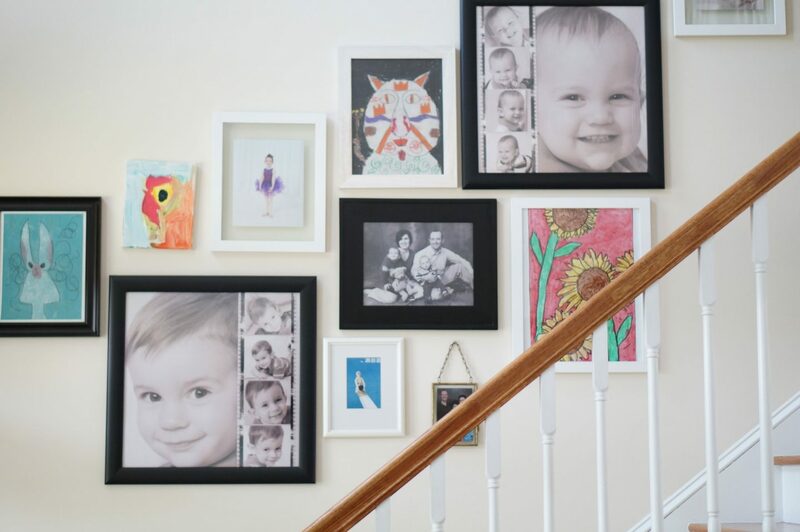 The plan has always been to hang a gallery wall going up the staircase. I’ve been going through so many pictures. We have amassed a lot of pictures over the past 12 years (this upcoming Sunday!) of marriage. This wall is not even a drop in the bucket. I have gone through family portraits, school pictures, wedding pictures, daycare pictures, artwork, etc. Oh, the artwork! It was a large undertaking to go through the artwork, because I essentially kept everything from their day care artwork on up through elementary school. 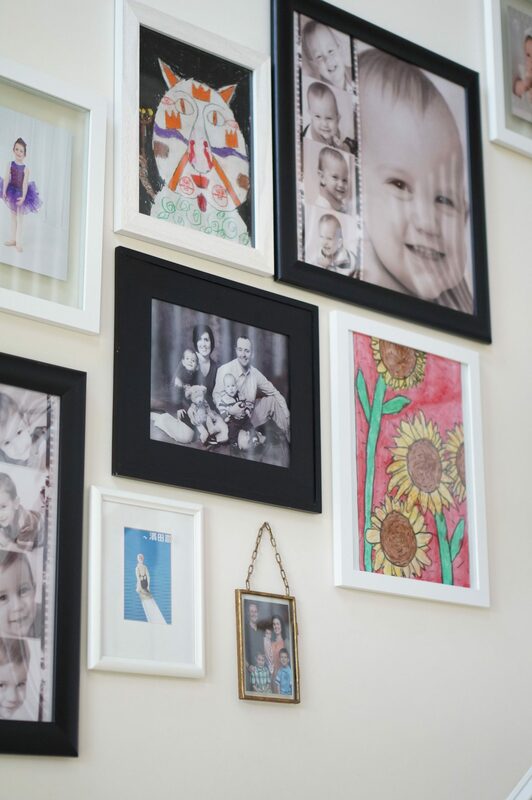 Will and I picked a few of our absolute faves to hang up among the pictures.